BETHANY BEACH, DE --(Marketwired - March 15, 2016) - ResortQuest Real Estate® recently announced its 2015 Coastal Delaware top producers at the firm's annual awards meeting at The Cottage Café in Bethany Beach, Del. 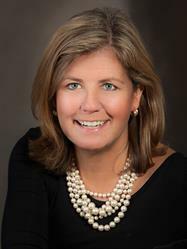 Associate Broker Anne Powell ended 2015 as the coastal real estate company's top producer. Sale associates and associate brokers earning Platinum Club honors for 2015 sales volumes exceeding $10 million were Powell, Dayna Feher, Bill Hand and Colleen Windrow. Earning Gold Club honors for sales volumes more than $5 million were Christina Antonioli, Shannon Smith, Jen Smith, Robert Kauffman, Ann Baker, Cindy Spieczny, Jen Hughes, Karla Morgan, Valerie Harmke, Tammy Hadder, Anna Meiklejohn and Nicole Peterdozzi. Silver Club honors went to sales associates and associate brokers generating more than $2 million in sales volume last year. The firm's Silver Club honorees were Shelby Smith, Marc Grimes, Sarah Schifano, Linda Quasney, Brendan Crotty, Steve Alexander, Kae Quillen, Bob Jennings, Laurie McFaul, Courtney Bouloucon, Jane Baxter, Sandy Greene and Tammy Mushrush. The Dayna Feher Team was honored as the company's 2015 Top Real Estate Team. The Dayna Feher Team consists of Feher, Jeff Wolfenbarger, Mushrush, Tammy Hitchens and Quillen. Other company real estate teams recognized for their performance in 2015 were: The Antonioli/McFaul Group, consisting of Antonioli and McFaul; The Anne Powell Group, consisting of Powell, Maryhelen Garst, Christine Middleton and Todd Smallwood; The Windrow Group, consisting of Windrow and Shelby Smith; and The Beach Home Group, consisting of Shannon Smith and Harmke. Additional 2015 kudos went to Feher for most listing volume sold, Hand for total new listing volume, Powell for most selling side volume, Kauffman for most units sold, Baxter for the highest priced property sold, Shannon Smith for highest priced residential listing and Powell for the most difficult transaction. The firm also recognized new agents who joined ResortQuest in 2015, including Winnie Talemal, McFaul, Rich Flaim and Garst. ResortQuest's sales support team also honored the agents with their 4th Annual Star Awards, recognizing Bouloucon as New Star of the Year and Greene as Star of the Year. The company's 2015 sales support team consists of Nichole Hayes, Carrie Cosgrove, JoAnne Albanese, Jonathan Davis, Kristin Krause, Meghan Long, Becky Herd and Manager Charlene Sanford. "The entire ResortQuest Sales Team should be congratulated," said Brigit Taylor, Broker of Record for ResortQuest. "It is an honor and privilege to work with the best sales team in our area." To congratulate these award winners, please visit one of ResortQuest's real estate offices located throughout Southeast Sussex County, Delaware. The firm can also be found on the Web at ResortQuestDE.com, on Facebook or on Twitter (@RQDEMD). For information on starting a career in real estate, contact Taylor at 302-541-8780.